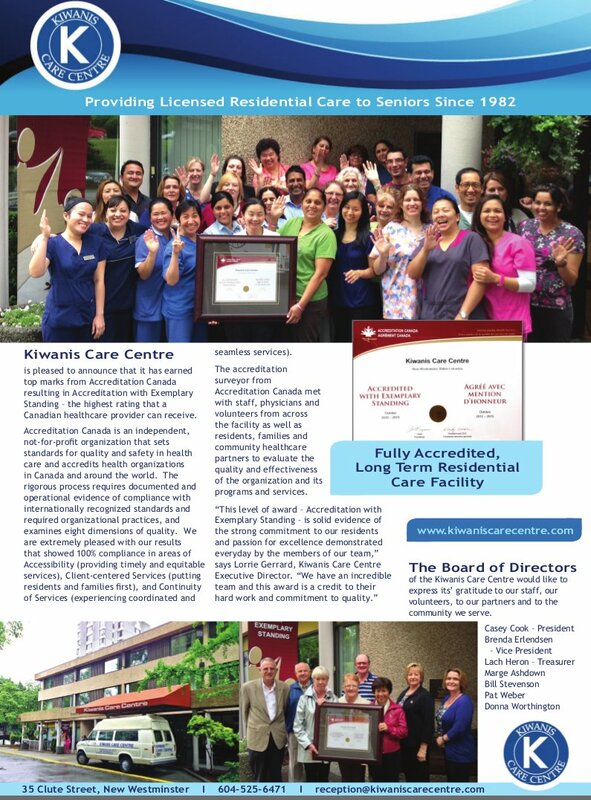 The Board of the Kiwanis Care Centre has received word from Accreditation Canada that our facility has been awarded “ACCREDITATION WITH EXEMPLARY STANDING*”. See information here. *Accredited with Exemplary Standing: The organization attains the highest level of performance, achieving excellence in meeting the requirements of the accreditation program.